Spa Facials Using Gold Are On The Rise. – Tres Belle Petite Medi-Spa ! 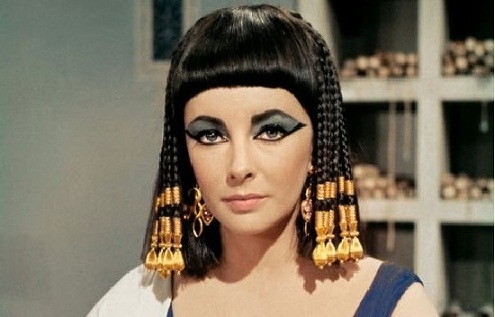 Cleopatra was one of the most expensive films ever made. Elizabeth Taylor rocked it out as beauty dripping in gold. Egyptians believed gold to be a cure all, using it for both physical and mental conditions. Today, gold compound is used in a medicinal treatment called chrysotherapy, reducing inflammation caused by disease. Spa treatments use of gold is on the rise. Because of it's amazing conductivity it's great for those suffering from dry or dehydrated skin as, it locks moisture in. Gold also slows the breakdown of elastin which keeps skin firm. It also helps prevent free radicals. Gold changes the electromagnetic field which improves blood circulation to prevent and repair cell damage. Book a gold facial at your favorite spa the next time you need a little extra hydration and expect a more radiant, clear, and even toned appearance!